Dar Lighting Binary LED wall fitting features layers of descending sized rectangular frosted glass diffusers with clear edges. 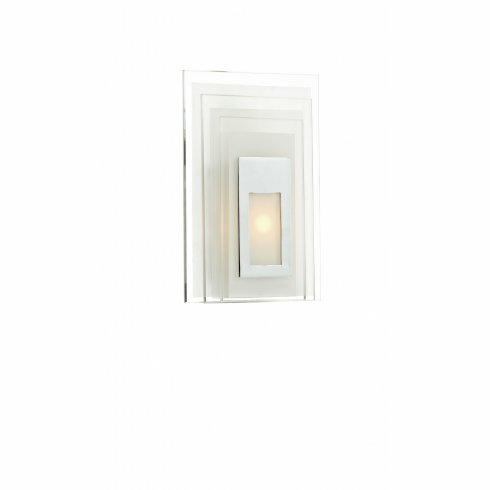 The product code for this Dar wall fitting is BIN072. A polished chrome frame and detail finishes the overall contemporary look of this fitting. This fitting is easily operated via it's own pull cord switch. A highly operationally efficient wall fitting for your home.